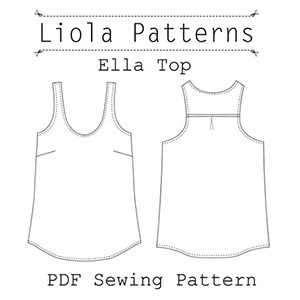 The Ella Top is a simple loose fitting top that is sure to be a staple in every summer wardrobe. The loose fit is easy and elegant while the bust darts ensure for a flattering look. The simple construction includes bust darts, back yoke with optional flat piping trim, back pleat, neck and armhole binding, and French seams. With such a vast choice of fabric options this top can be made up in silks for a dressy look or in soft cottons for a more casual look. 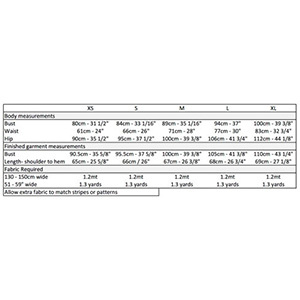 Suggested fabrics are lightweight wovens or knits such as rayon challis, peach skin, and crepe de chine, cotton jersey, or cotton lycra.